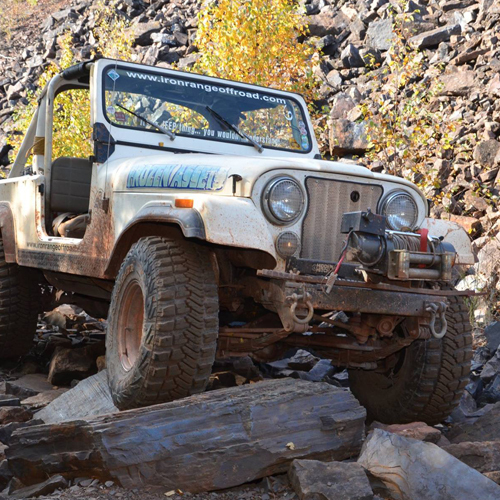 What modifications does my Jeep need? 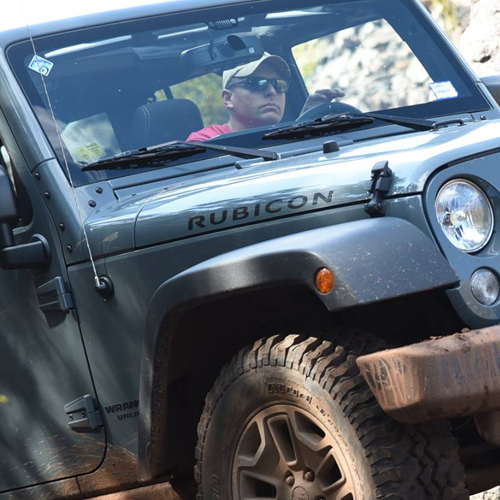 The class is designed for stock vehicles that have a 2 speed transfer case (you must have low range, not just AWD), and no snowplow mounts. 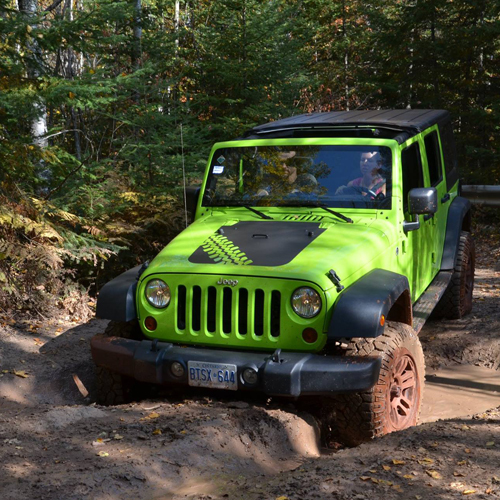 We have had a number of brand new Jeeps on the trail over the years. Understanding what a stock vehicle can do helps plan future upgrades (and saves you money in the long run). Are lodgings included? Is food included? Links are provided for local lodging options, but you're on your own for lodging. Some folks prefer the jacuzzi suite at Giant's Ridge, others want to camp under the stars. Food is also on your own, but the guides often cook extra "manifold meat" burritos...it's an acquired taste, but makes a great story to tell your friends! Where will we meet? When does it end? 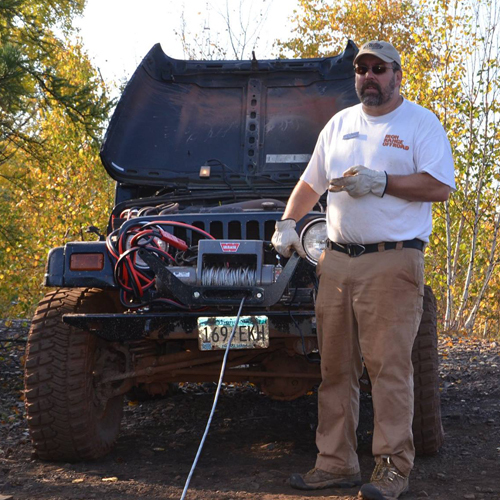 Directions are sent with your registration confirmation, but the short answer is 8:30AM on Saturday morning in the parking lot of the Iron Range Off Highway Vehicle Recreation Area in Gilbert, MN. Sunday classes wrap up between 1:30 and 2:30PM with a memorable graduation ceremony. Can I only go for 1 day? Because the class uses a building block style of learning, it's important to be there for the first part of the first day. Skills learned in the morning are applied throughout the day. Techniques learned on Saturday are applied on Sunday, with many people amazed at what their Jeep can handle. Sorry, there is no 1 day discount available. Do you offer other weekends (or weekdays)? 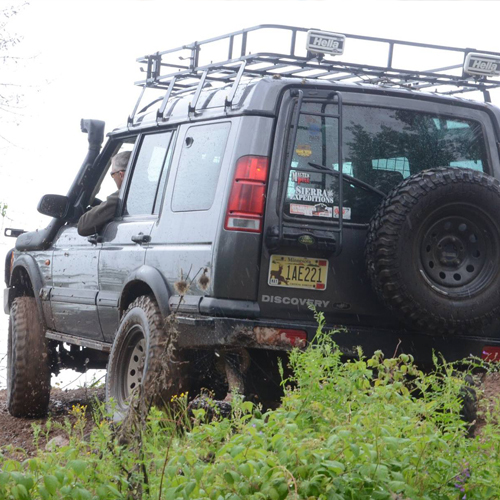 If you have a group interested in a trail guided ride, please call. If we are unable to coordinate schedules, we might be able to connect you with concurrent event in the park, or (at the very least) give you some recommendations regarding "skill level appropriate" trails to explore. What if I don't have a Jeep? 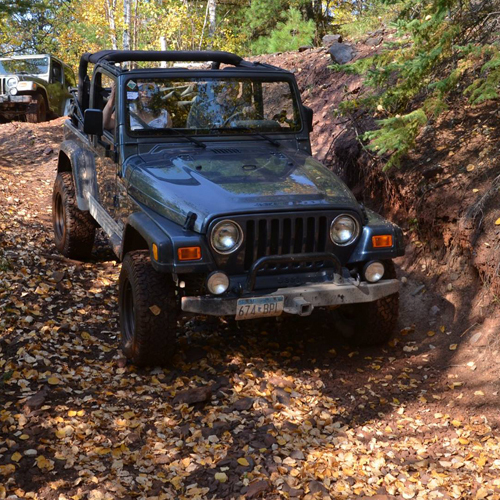 The class is not limited to Jeep vehicles. Many other SUVs have done quite well in the past (call ahead to discuss vehicle suitability). 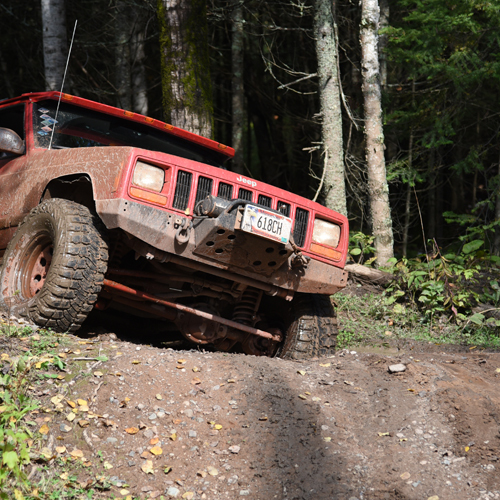 Full size trucks are not recommended (because the trails get pretty tight). If you are interested in riding along, there are also options to rent a seat in one of the guide vehicles. 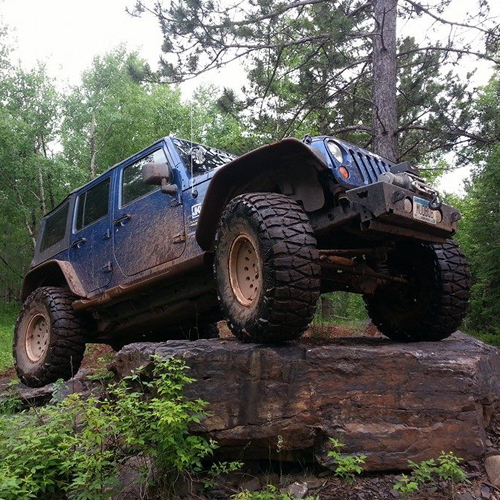 What if I "break" my Jeep? While extremely rare, this possibility exists. 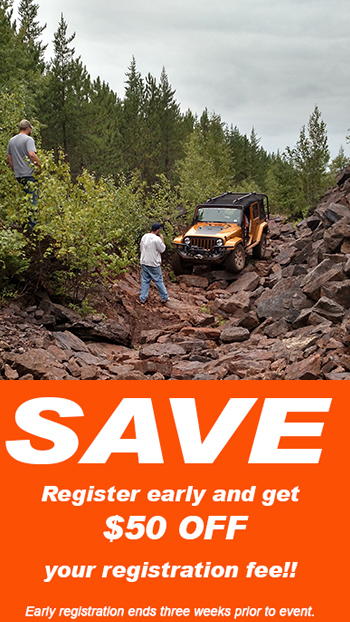 There is a Jeep dealership in Virginia, MN (5 miles away) and numerous nearby sources for parts. If damage is severe enough to require transport, we can put your vehicle on a local flatbed trailer. 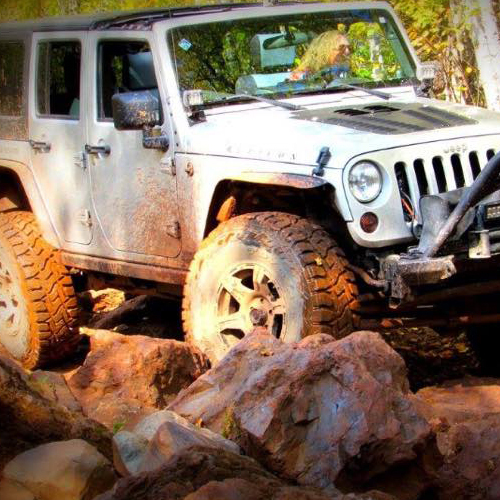 The most common mishaps have been tire damage (sidewall cuts from sharp rocks) or cosmetic "alteration" (from mis-judging how far away a tree actually is).